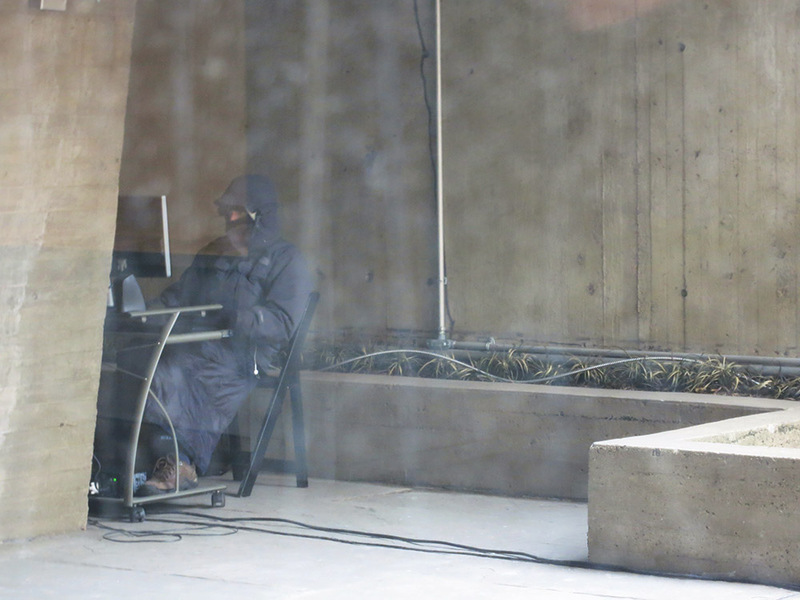 Playing Civilization [link] six hours per day during the Whitney Biennial 2014 Leclery huddles under a bridge, freezing while casually building and destroying worlds. Recontextualizing a long-time hobby Leclery’s isolated, time-intensive act of creation has had virtually no impact on the outside world, metaphorically paralleling many studio practices. Typically a means of studio avoidance playing Civilization presents a non-art-commoditized waste of time: a selfishly pure fulfillment of creative desires devoid of art world pressure. Exiled from the galleries the outsider performance futilely besieges the museum and art productivity, while it’s Whitney inclusion sublimates the former act of escapism into suspicious legitimacy.